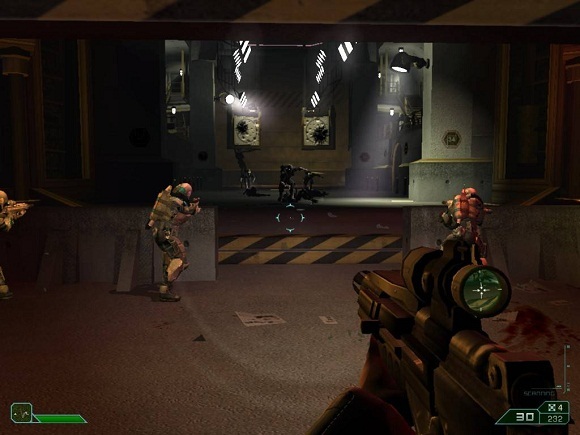 The AREA 51 series first began as a light gun-based arcade shooter game, and now Midway has brought the series to the Pc Games as a first person shooter along the lines of HALO and DOOM. 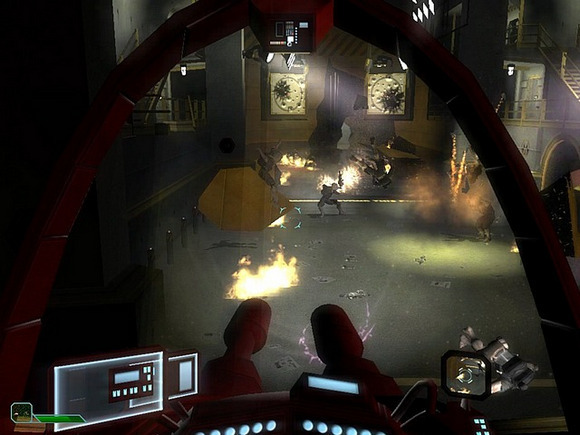 The game revolves around HAZMAT operative Ethan Cole, who has been summoned to Area 51 to discover the source of a deadly virile outbreak. He soon discovers that the staff of the secret alien research base has mutated into deadly, dangerous enemies. Even worse, Ethan himself quickly becomes infected. While the game is a fairly straight-forward first person shooter involving blasting everything that moves while searching for keys, secret codes, and other clues, it does have some interesting twists. Once Ethan becomes infected with the virus, he gains the ability to mutate into a stronger form complete with two ranged attacks. The visuals also change, taking on an almost infra-red interface. 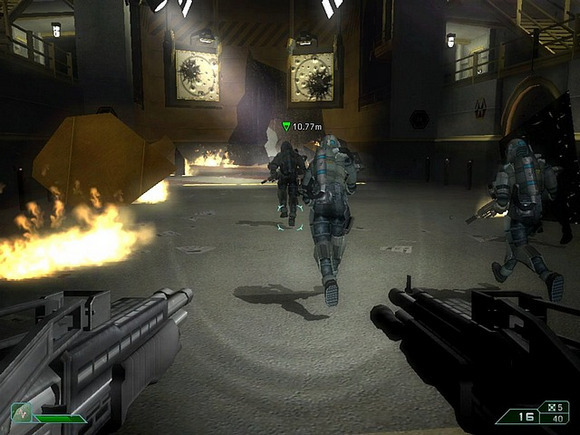 Once the single-player missions are finished, AREA 51 offers gamers a multiplayer mode that accommodates up to 16 players. 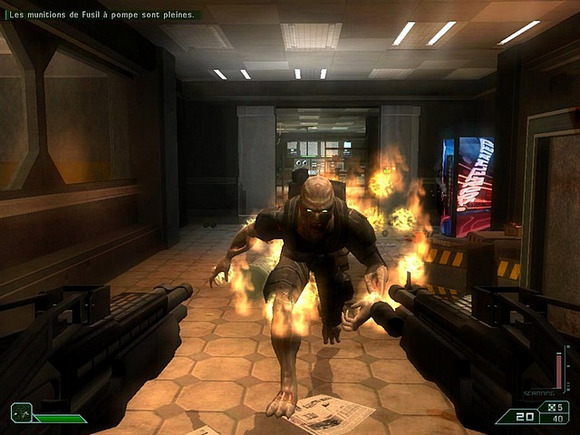 Several different options are available, including deathmatch, capture the flag, and infection, in which players can play as mutants and attempt to infect the human players. 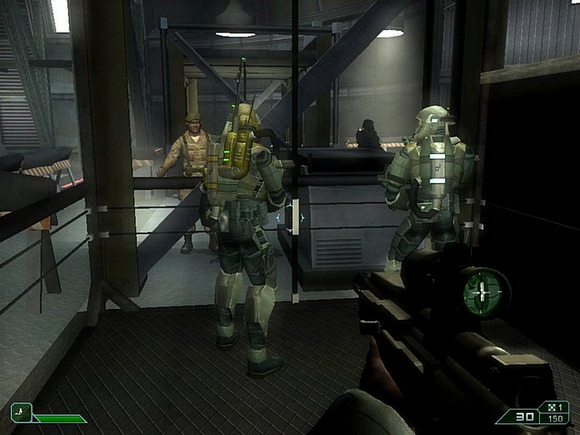 There are also unlockable secrets that can be found by scanning objects, , computer workstations, and corpses. 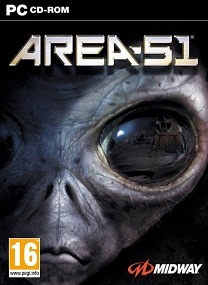 While AREA 51 has been absent from the arcade for awhile, first person shooter fans will immediately latch on to its Pc Games version. Fans of THE X-FILES should also check it out to hear star David Duchovny voice Ethan Cole. link part 3 mati, TOLONG DIPERBAIKI!!! bro, kok wktu masuk ke level selanjutanya (level 2) tiba-tiba gamenya "HAS STOPPED WORKING"
Reupload Area-51 (PC/ENG) Rip Version Done!